8 H*O*T Gifts for Every Type of Mom on Your List! Mother's day is just a little over a week away. If you're still in need of gifts see our recommendations below for some great ideas from H*O*T.
Remember, try to place your order by Sunday, May 8th to ensure receiving your choices in time! And to make it easier, we can wrap and ship gifts directly to Mom if you'd like. Just make sure and include her address on the shipping form. Mother's Day is May 14th and we have the perfect gift. 1. 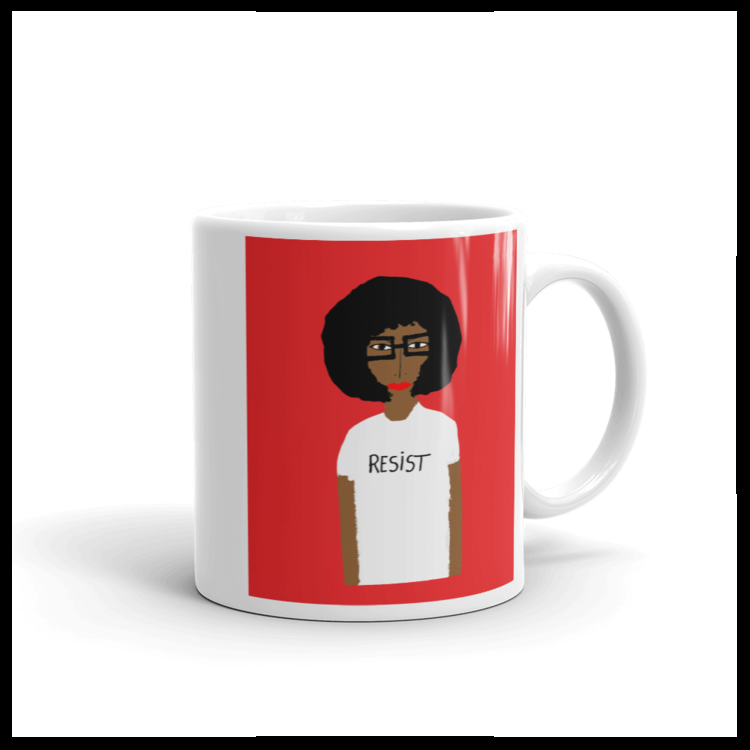 For the politically minded mom -- if the mom you're gifting (like just about every mom we know) is into the #resist movement, she'll love having her morning cuppa in the Patrick-Earl for H*O*T Resist mug. 2. For the mom who always misplaces her work ID --if she's constantly losing her work ID and doesn't like the look of an ugly lanyard, check out all the beautiful hand-made ID necklaces we have on H*O*T.
3. For the mom who loves vintage -- if she's the type who feels vintage pieces are always more special, then she'll appreciate these gorgeous vintage beaded tiger stripe clip-on earrings. They truly are special! 4. For the arty mom --we know she'd just love to own a Patrick-Earl for H*O*T original! His quirky and stylish "fashion folk" are one-of-a-kind collectables and each wear fabrics chosen by Terry for H*O*T.
5. For the cool boho mom -- why not gift her with an adjustable boho bangle that's easy to wear and great to mix with other bracelets? She'll love this wrap style bangle with adorable dangling charms. 6. For the practical mom -- she needs a fun yet protective case for her I-phone and we have the perfect one for her. Featuring one of Patrick-Earl's "fashion folk" in a red dress against a blue background, she'll smile every time she pulls her phone out! 7. For the classic with a twist mom -- She's feels most comfortable in gold huggie earrings and a strand of good pearls. But sometimes she wants to throw a little fun into the mix. Give her this classic hinged turquoise enamel bracelet and she'll do just that! 8. For the mom who must have the latest must-have -- we're sure she knows chokers are the must-have necklace of the moment. This black leather choker with a tiny pavé rhinestone golden bead is just the thing!